Mega Evolution rule : Cannot be burned, poisoned, or paralyzed. 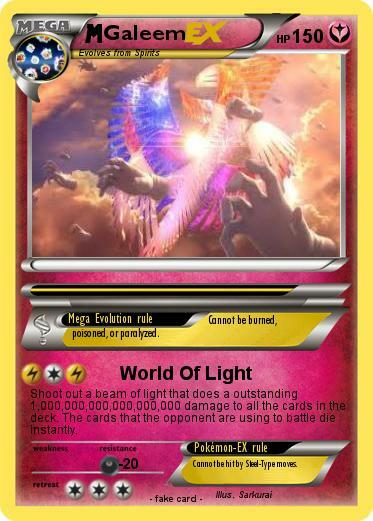 Shoot out a beam of light that does a outstanding 1,000,000,000,000,000,000 damage to all the cards in the deck. The cards that the opponent are using to battle die instantly. Pokémon-EX rule : Cannot be hit by Steel-Type moves.